Cars 3 may be stealing all the headlines going into the summer season – it is, after all, another installment of a proven, relatively bankable series – but Disney and Pixar are beginning to drum up excitement for their second animation of 2017. Its name? 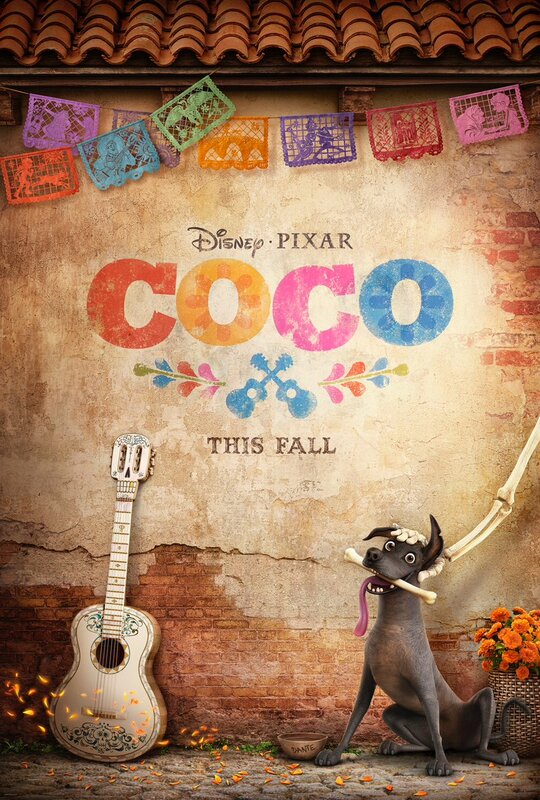 Coco, a Mexican-themed adventure film that introduces audiences to Miguel (Anthony Gonzalez) and his cute canine, Dante. Caught under the spell of legendary Mexican guitarist Ernesto de la Cruz (Benjamin Bratt), Miguel longs to become a guitarist and effectively up-end his family’s ludicrous, generations-old ban on music. His pursuit of happiness leads him to Ernesto’s magical instrument, though after laying hands on the guitar itself, Miguel finds himself whisked off to the Land of the Dead, a parallel dimension where his adventure begins in earnest. It’s here, deep in the fantastical realm, that our pint-sized hero hopes to uncover the real story behind his family’s history, and hopefully bring an end to that aforementioned ban once and for all. Featuring an all-Latino cast – Mozart in the Jungle star Gael García Bernal and Renée Victor (Weeds) are among the ensemble – Coco represents an exciting creative departure for the Pixar ‘Brain Trust’, and it’ll be fascinating to see how audiences take to the studio’s fresher ideas come November. Following in the tire tracks of Cars 3 (June 16th will herald Lightning’s return), Coco will whisk moviegoers off on an adventure deeply inspired by Día de los Muertos on November 22nd. It’ll screen via 3D theaters, too. Until then, you can share your knee-jerk reaction to today’s teaser via the comments section below.